Javier offers a discount of 50% on their first / introductory lesson! 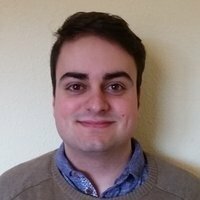 I am a native Spanish teacher based in Cork city. I love learning new languages; I also studied French and German. I really enjoy travelling and getting to know new cultures and people. I have been teaching for more than four years. Appart from Spanish , I have also taught English , and Latin and Classic Greek. I helped students to master Spanish language, working in reducing the accent, earning fluency, etc. both Individual and groups. I have been working in summer camps teaching English, back in my home city in Santander. Listening and speaking activities are developed in my lessons with a variety of resources to enhance the understanding and the proper pronunciation of the language. I like to focus in speaking as is the area where students fail the most; but I also make sure that the grammar is well understood. Students always feel comfortable in my classes and know they don't need to hesitate to ask me questions.